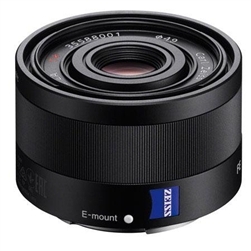 Carl Zeiss quality delivers superior contrast and resolution throughout the image: Outstanding resolution and contrast are the key features of this lens. Three double-sided aspherical elements (six aspherical surfaces) effectively control spherical aberration A perfect match for the 7-series full frame bodies, with outstanding optical performance in a versatile 35mm focal length: The handling and convenience of this wide angle lens for 35mm full frame format bodies is significantly improved by the use of an internal focus mechanism that keeps the length of the lens constant during focusing. Bright F2.8 maximum aperture: A bright maximum aperture of F2.8 enhances shooting convenience, particularly since the same high image quality is maintained at all aperture settings. Dust and moisture resistant design: Like the 7-series full frame E-mount bodies, critical areas of the lens exterior feature dust and moisture resistant seals that help to ensure reliable operation even in adverse environmental conditions. 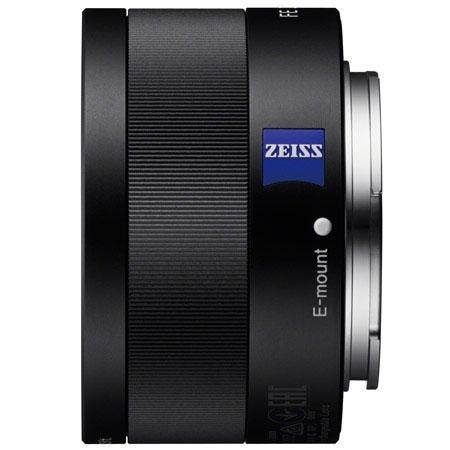 The lens exterior features an elegant aluminum finish Supplied dedicated hood matches the lens's compact form: The supplied ALC-SH129 lens hood is a cap type This design is a perfect match for the compact lens barrel, contributing to bothportability and protection. A filter thread is provided in the lens hood itself, allowing 40.5mm filters to be attached while the lens hood is in use.